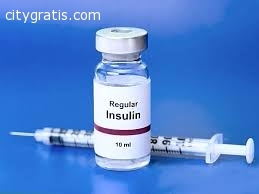 Insulin Like Growth Factor (IGF)-1 (4-70), otherwise known as IGF-1 DES, produced in E. coli, is a single, non-glycosylated, polypeptide chain containing 67 amino acids and having a molecular mass of 7,372 Da.somatomedins, or insulin-like growth factors (IGFs), comprise a family of peptides that play important roles in mammalian growth and development. IGF-1 DES is a truncated form of IGF-1, which mediates many of the growth-promoting effects of growth hormone, with the tri-peptide structure Glycine-Proline-Glutamine cleaved from the N-terminus. It has been isolated from and detected in numerous in vivo sources, including the human brain, bovine colostrum, and porcine uterus. In vitro studies demonstrate that at equal doses DES (1-3) IGF is ten times more potent than IGF-1 at stimulating hypertrophy and proliferation in cultured cells.